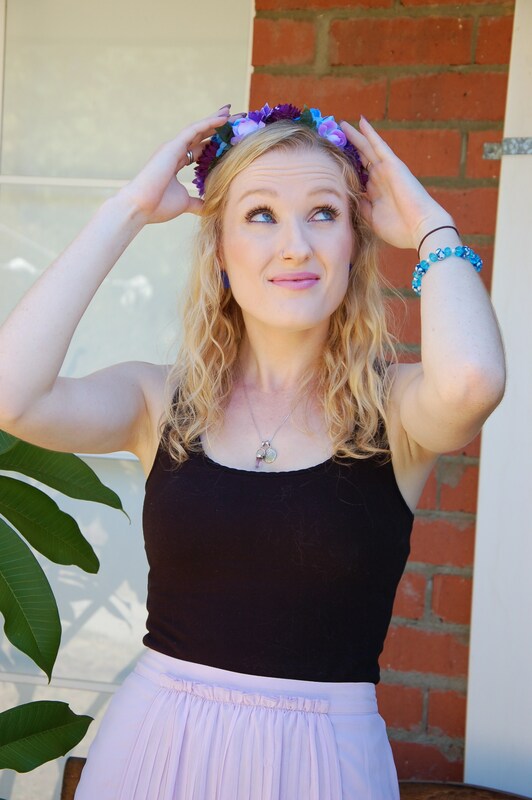 I THINK I just fell in love with flower crowns! I’ve always liked them but never found the right outfit to wear them with. 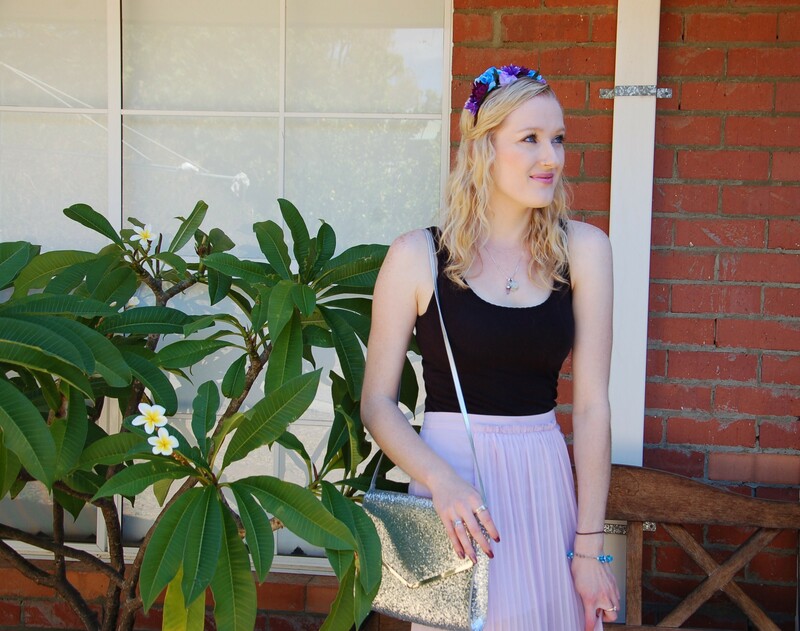 Today’s outfit is part boho vibe and partly filled with glitter. I mixed in blues and purples in my accessories to match the headband. 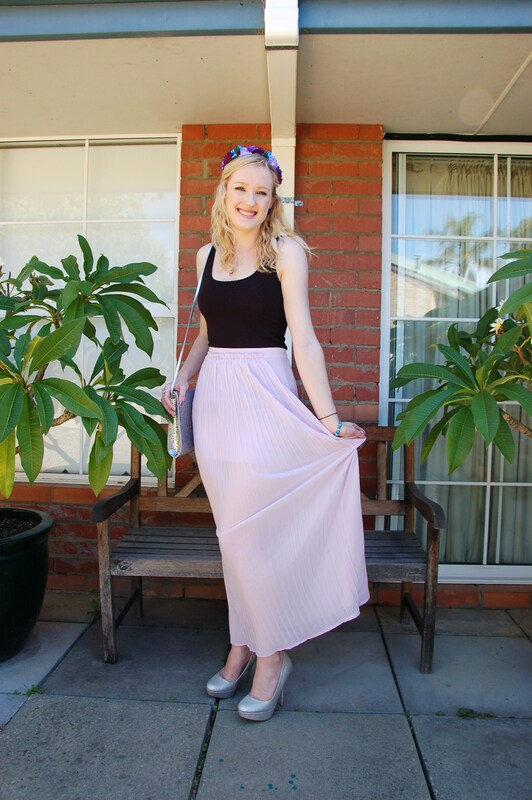 This skirt has an opaque mini-skirt under a sheer maxi skirt. 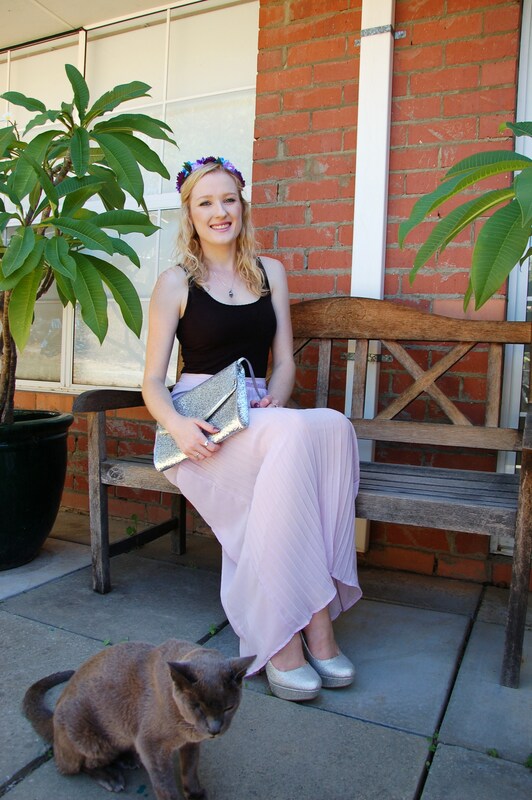 I like how this skirt has an opaque mini skirt underneath the sheer maxi skirt – it makes it just that little bit lighter and different. 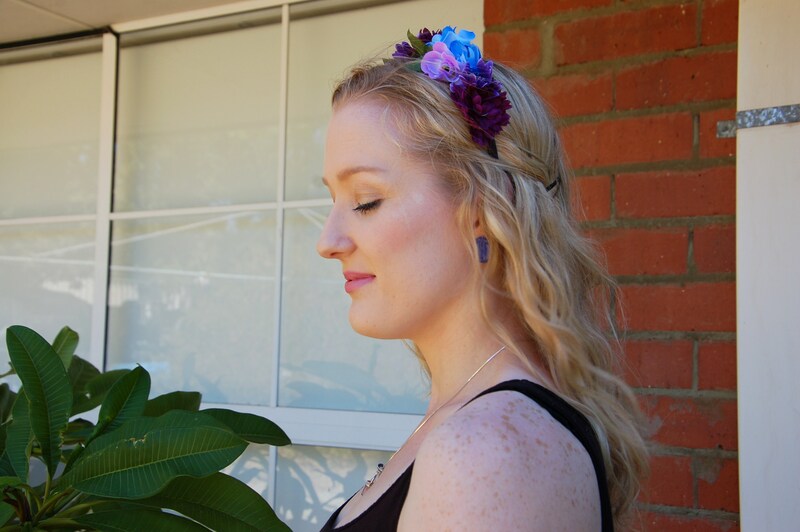 For my jewellery I followed the colours in the flower crown – blues and lavender. The weather was great today! Simple makeup was key to this light, daytime look. I kept my makeup quite simple but with hints of glitter. I used two Sleek Makeup palettes in this look: the Precious Metals Highlighting Palette and the Eye and Cheek Palette in Dancing Til Dusk. For my eyes I used Two Faced Shadow Insurance and the two gold colours in the Sleek Eye and Cheek Palette – one matte and one with shimmer, as well as the silver colour from the Highlighting Palette for underneath my eyebrow arch. I used the pale gold highlighters on my cheekbones, down the bridge of my nose and on my cupid’s bow. 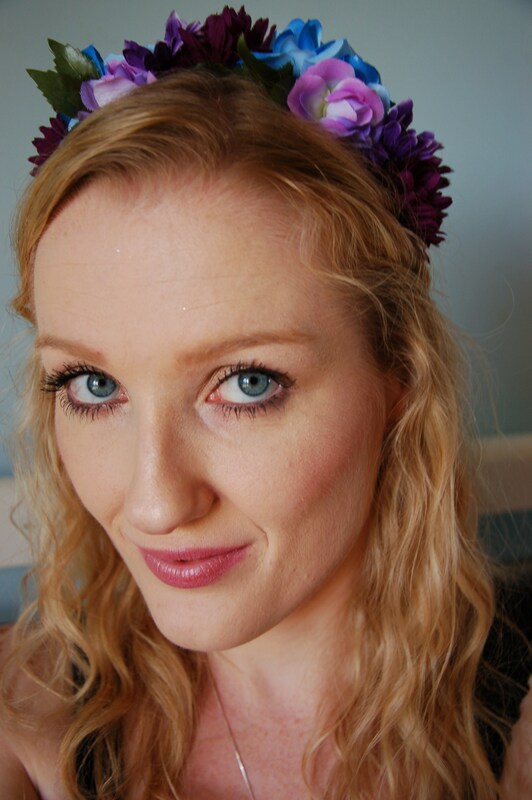 My mascara is Maybelline The Falsies Volum’ Express Flared — it’s been my go-to mascara for years! 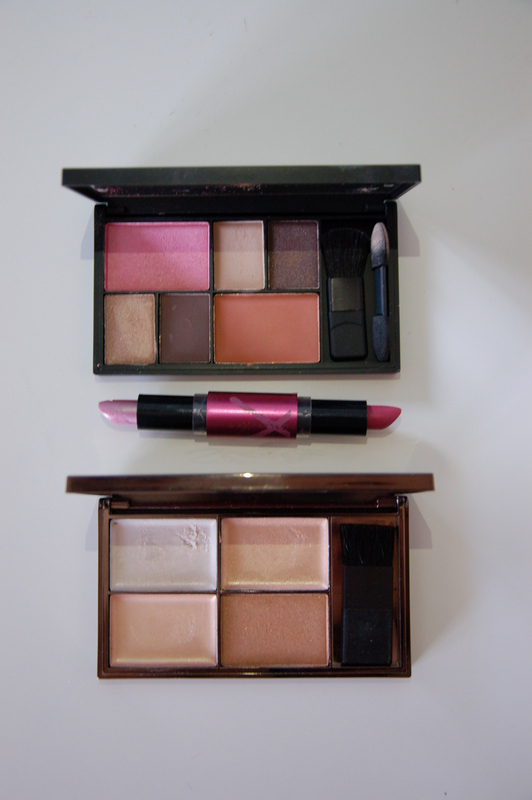 I used the light pink shimmery colour from this Max Factor Flip Stick, too. [Top to bottom] Sleek Eye and Cheek Palete in Dancing til Dusk, Max Factor Flipstick Colour Effect in Boreal Mauve and Sleek Highlighting Palette in Precious Metals. I’ll take any excuse to use highlighter. The cat decided he wanted to be part of the photoshoot! This is definitely an outfit I’ll be bringing out again. Perfect for sunny days with the family and eating lots of food! 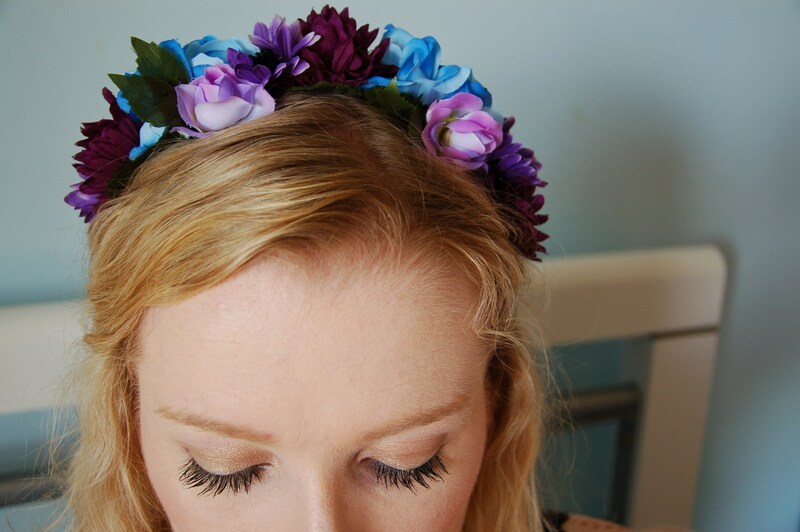 This also really makes me want to buy 100 huge flower crowns. I wish I’d discovered them earlier! Is glitter one of your staples, either in outfits or in beauty products?